2. 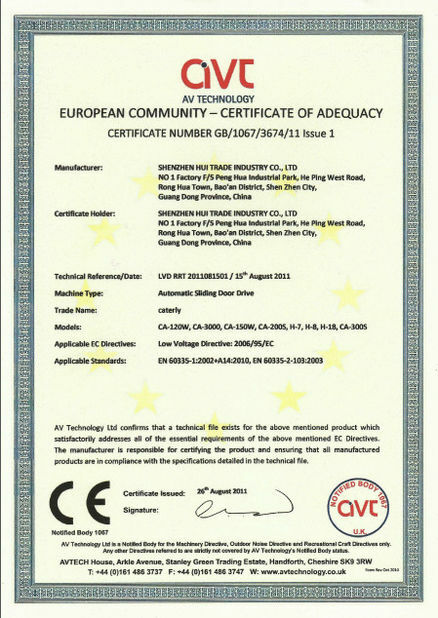 With the economic fast development in China , Shenzhen Hui Trade Industry Co., Ltd. introduction of advanced technology and management from Germany, and we have passed ISO9001, 2008 international quality system authentication and CE Certification, with the strictly control for designed, production, inspection and services by our advanced quality management system, enable the products of Shenzhen Hui Trade Industry Co., Ltd. selling well in the domestic market, and keep rapid growth in the European ,American , Asia and Middle East market. 3. "Integrity, peaceful and sustainable management"is the purposes of Shenzhen Hui Trade Industry After years of development, the company got the automatic door industry’s consistent and high praise by superior product performance and high efficient service. 4. The annual sales value increase more than 45% every year. And successfully establish a strategic cooperative partnership with some famous domestic and foreign enterprises like Siemens, Phillips, and BEA etc. 6. 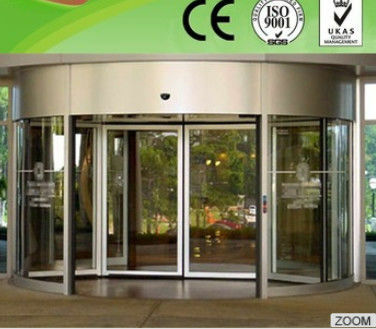 In order to keep the leading position in automatic door business, Shenzhen Hui Trade Industry Co., Ltd. always invest a lot of effort in research and development our products to meet customers requried, once a new product made development or improve we always ask our customers' opinions. 7. 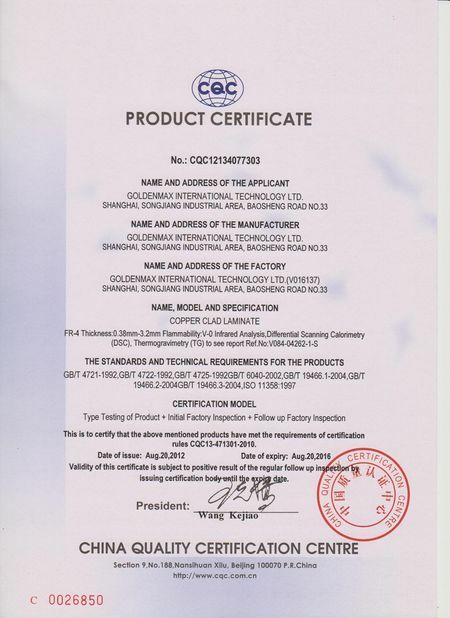 Shenzhen Hui Trade Industry Co., Ltd. with its corporate value as the foundation, keep the continuous and steady development, pay most attention to customers and whole society partnerships, people-oriented and concerned about our employees, also will continue to focus on thousands of customers using our products. Move smooth, the noise is low.